The energetic layout of the Merkiva depends on the type of materials it had been made of as well as the crystals used in it. in Merkiva we deal with a perfect harmony of the male and female element. It has been achieved with a high-grade stainless steel which the male part was made of and brass for the female part. Each of the Merkiva corners emits powerful energy therefore it is of the highest importance what crystals are installed in these corners. the rose quartz at the bottom. The amethyst supports a connection with the divine, protection and growth. It brings tranquility and peace thanks to which the mind is able to open for spiritual experiences. It teaches devotion and trust in the Higher Power, leading in internal silence in which all matters find their source. The amethyst applied to the third eye chakra remarkably increases telepathic abilities and connection with higher dimensions. 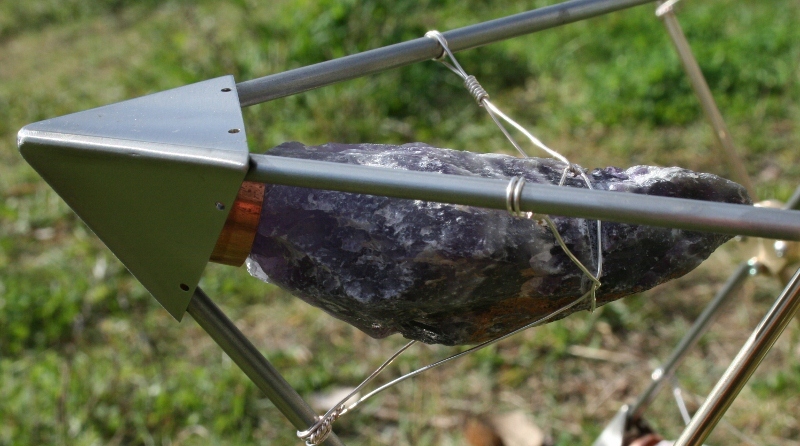 The amethyst builds a bridge between Heaven and Earth and opens access to new dimensions of the Infinite Existence. It strengthens love and devotion to all that is divine. 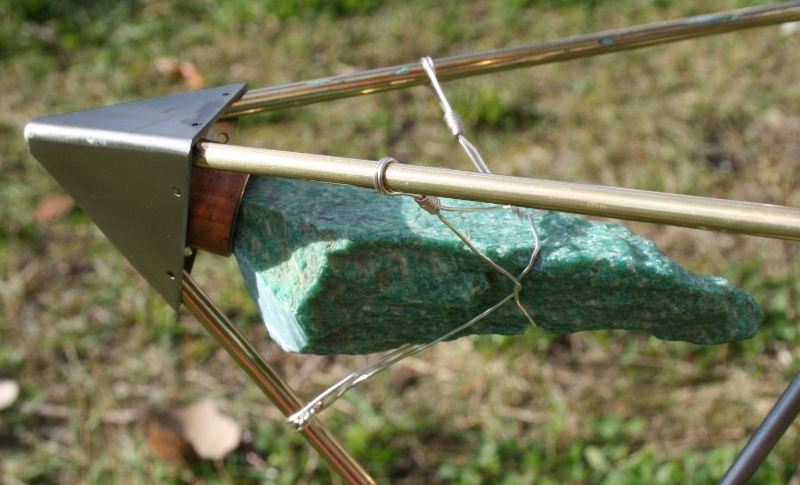 Its vibrations deepen a feeling of safety and freedom, bring harmony and spiritual inspiration. Thanks to all these ‘properties’ the amethyst strengthens the aura and increases self-esteem. 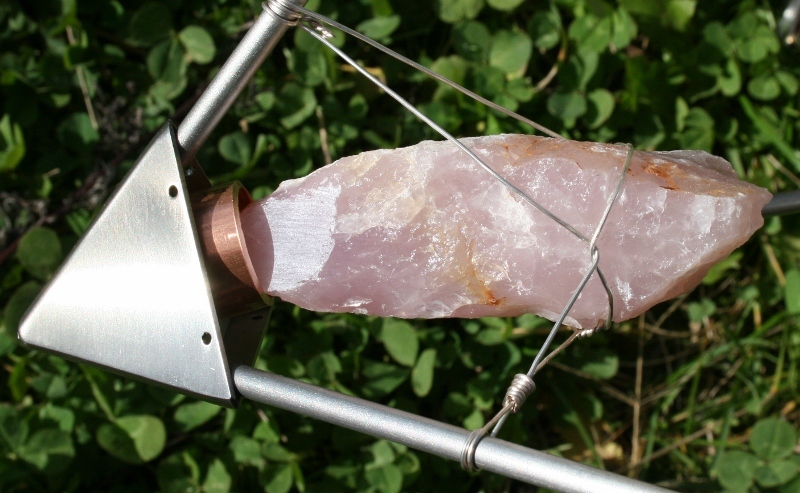 The rose quartz fosters love, amenity, tenderness and forgiveness to oneself and others. It encompasses the soul with a soothing, kind vibration that allows removal of internal blocks that had been an obstacle for manifesting love and joy in our lives. This stone sensitizes to beauty of the world around us and the whole universe as well as to expressions of beauty, love and mildness in us. It makes us sensitive to a beauty of an art, enlivens our fantasy and creative thinking. It helps us awaken a dormant happiness of a child in us; a child who feels safe and surrounded by love and compassion. It also supports growth, including the spiritual one. The composition of the amethyst and rose quartz provides a very powerful spiritual vibration of a protective and transforming nature. the labradorite at the bottom. The greeny-blue amazonite of a pleasant female vibration is associated with the legendary Amazons as being mild as it is, it is also full of power. It influences the heart and throat chakras. It brings harmony between body and spirit, strengthens the aura (human energy field), calms and soothes. After placing in the Merkiva it gives a strong and clear feeling of depth, power and peace. It has been said that the labradorite contains the energy of the sun and moon which makes it one of the most powerful energetic allies. The properties of this gray-coloured-with-rainbow-reflections mineral are indeed very interesting. In the energetic aspect it links the aura with chakras, and thus enhances the energy flow between the external and internal ‘things’. One of its intriguing features is its quite specific protective influence. The mineral possesses the ability to clean a human aura (energy field) and protect it from unwanted energies. The labradorite is a magical stone and it supports magic. We have noticed that it helps to contact with the spheres of existence usually invisible for humans. 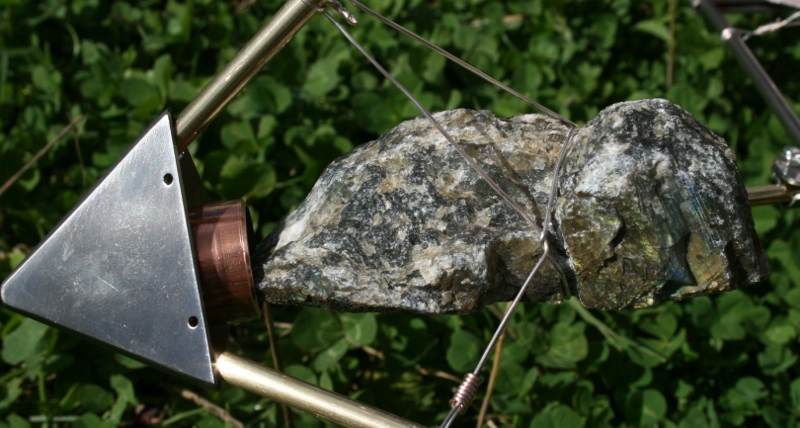 The fact of high relevance in this matter is that shortly after the first Merkiva with the labradorite had been made, we succeeded in communicating with the spirits of nature, what was not an easy task to do without the mineral. The spirits of nature are intermediary beings between humans and the world of matter. Many things in our everyday lives depend on a positive contact with these beings, i.e. whether our everyday issues unfold into problems or success and deliberate actions.